Clark Kent x K-Swiss sneaker collab drops 2/20. DJ Clark Kent has partnered with K-Swiss to celebrate Black History Month with the release of a specially designed Classic 88 sneaker, honoring black history and culture. The DJ Clark Kent x K-Swiss Classic 88 is highlighted by alternating black, green and red stripes inspired by the pan-African flag. The special edition sneakers are constructed of a premium leather in a fuller, sturdier composition while still featuring traditional K-Swiss features that fans of the all-leather tennis shoe have grown accustomed to. 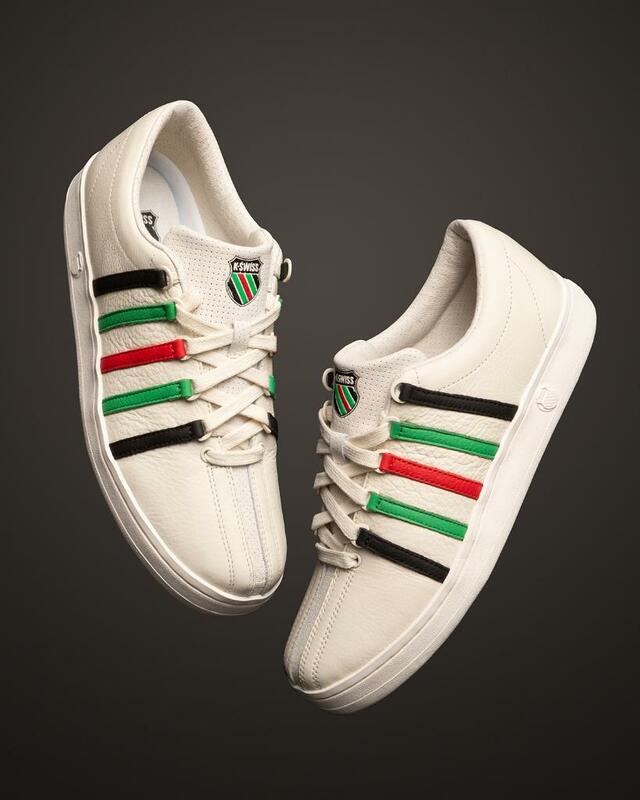 "The iconic K-Swiss 5 stripes are adorned in the colors inspired by the pan-African flag with red symbolizing the uniting blood of all African people, black for an enduring light shed upon all black people, and green representing the verdant natural wealth of the African continent. The signature three-piece toe and D-ring lace up invoke heritage court style while a molded rubber outsole deliver unmatched comfort and traction." The collaborative kicks will launch next Wednesday, February 20 at select stores including Foot Locker.